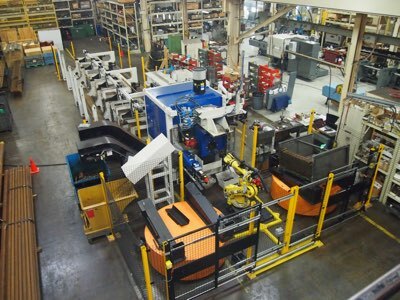 Bardons & Oliver’s RH Flex Line provides flexibility when pair with FANUC Robotics. 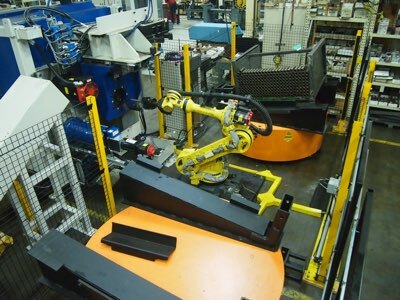 As a FANUC Robotics integrator, we’re capable of providing a tailored system for specific requirements. Our equipment reduces operating costs and is capable of running unattended for hours. Whether you’re processing straight cut-offs or cut-offs with chamfers and bores, the Flex Line is an excellent machine to give your company the competitive advantage. Bardons & Oliver’s Flex Line offers the largest thru bore options in the industry. Our through bores range from 4.50” up to 13.00” and can process tubing as small as .625” and up to 13.00” with varying wall thicknesses. Contact one of our employee-owners about this system along with one of many other systems B&O has to offer.